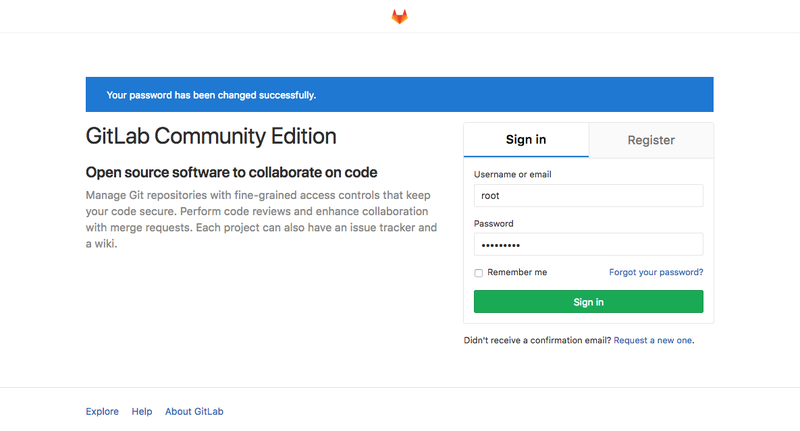 GitLab CE, or Community Edition, is an open source application primarily used to host Git repositories, with additional development-related features like issue tracking. It is designed to be hosted using your own infrastructure, and provides flexibility in deploying as an internal repository store for your development team, publicly as a way to interface with users, or even open as a way for contributors to host their own projects. The GitLab project makes it relatively straight forward to set up a GitLab instance on your own hardware with an easy installation mechanism. In this guide, we will cover how to install and configure GitLab on an Ubuntu 16.04 server. In order to get started, you will need a non-root user with sudo access configured on the server. It is also a good idea to set up a basic firewall to provide an additional layer of security. You can follow the steps in our Ubuntu 16.04 initial server setup guide to get this setup. When you have satisfied the above prerequisites, continue on to start the installation procedure. You will likely have some of this software installed already. For the postfix installation, select Internet Site when prompted. On the next screen, enter your server's domain name or IP address to configure how the system will send mail. Now that the dependencies are in place, we can install GitLab itself. 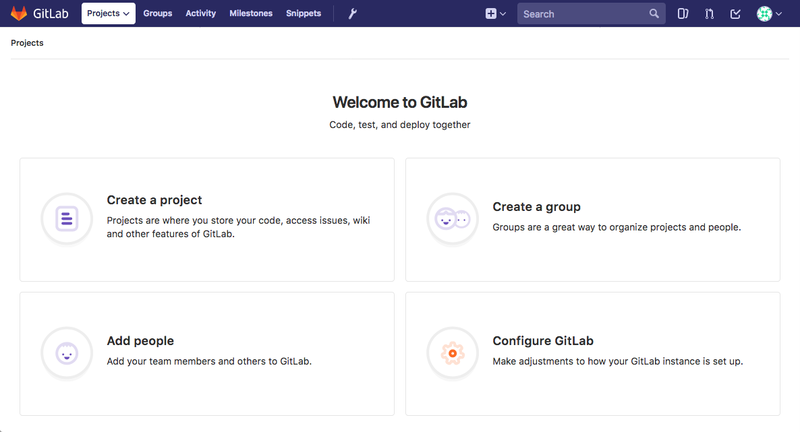 This is a straight forward process that leverages an installation script to configure your system with the GitLab repositories. As you can see, the current rules allow SSH traffic through, but access to other services is restricted. Since GitLab is a web application, we should allow HTTP access in. If you have a domain name associated with your GitLab server, GitLab can also request and enable a free TLS/SSL certificate from the Let's Encrypt project to secure your installation. We'll want to allow HTTPS access as well in this case. Near the top is the external_url configuration line. Update it to match your own domain or IP address. If you have a domain, change http to https so that GitLab will automatically redirect users to the site protected by the Let's Encrypt certificate we will be requesting. 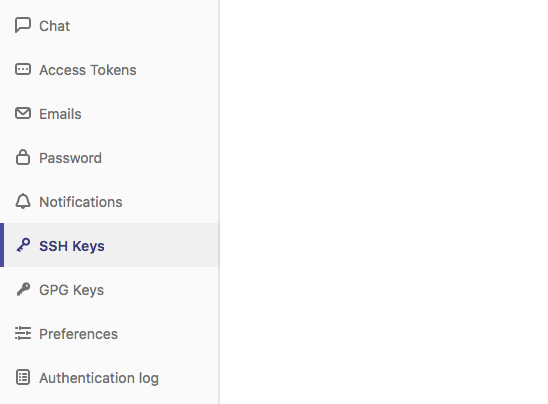 Next, if your GitLab server has a domain name, search the file for the letsencrypt['enable'] setting. Uncomment the line and set it to true. This will tell GitLab to request a Let's Encrypt certificate for your GitLab domain and configure the application to serve traffic with it. 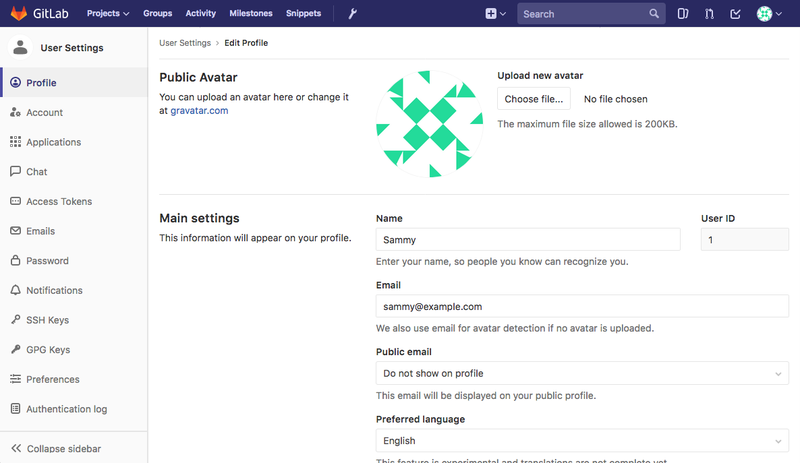 This will initialize GitLab using information it can find about your server. This is a completely automated process, so you will not have to answer any prompts. If you enabled the Let's Encrypt integration, a certificate should be configured for your domain. 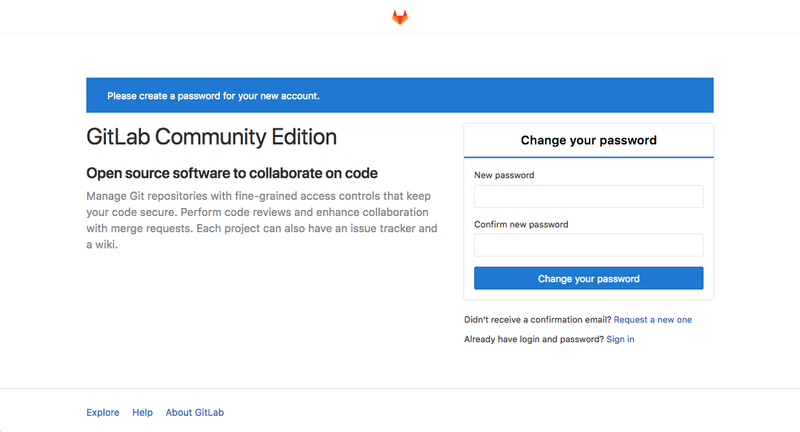 Now that GitLab is running and access is permitted, we can perform some initial configuration of the application through the web interface. If you enabled Let's Encrypt and used https in your external_url, you should be redirected to a secure HTTPS connection. One of the first things that you should do after a fresh installation is to get your profile into better shape. GitLab selects some reasonable defaults, but these are not usually appropriate once you start using the software. On the page that follows, you can see an overview of your GitLab instance as a whole. To adjust the settings, click on the Settings item at the bottom of the left-hand menu. You will be taken to the global settings for your GitLab instance. 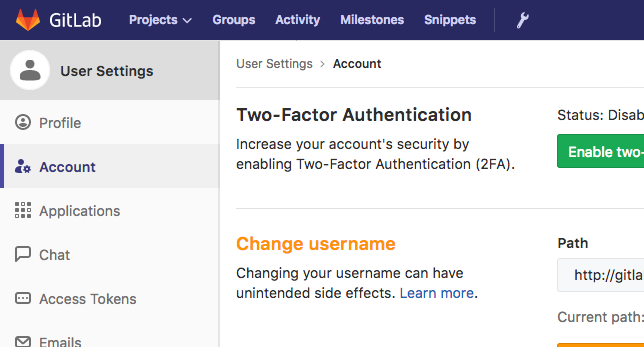 Here, you can adjust a number of settings that affect whether new users can sign up and what their level of access will be. 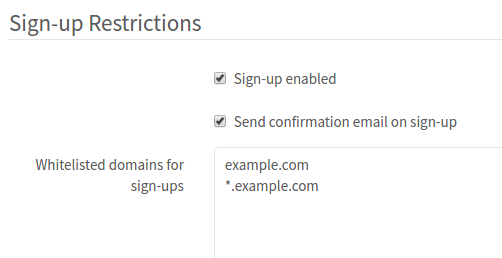 In the Sign-up Restrictions section, first select the Send confirmation email on sign-up box only allow users to log in after they've confirmed their email. By design, Let's Encrypt certificates are only valid for 90 days. If you enabled Let's Encrypt for your GitLab domain earlier, you will need to ensure that your certificates are renewed on a regular basis to avoid service interruptions. GitLab provides the gitlab-ctl renew-le-certs command to request new certificates when your current assets approach their expiration. To automate this process, we can create a cron job to automatically run this command on a regular basis. The command will only renew the certificate when it's close to expiring, so we can safely run it regularly. Now, GitLab should automatically check each day if its Let's Encrypt certificate needs to be renewed. If it does, the command will renew the certificate automatically.